If you use iTunes, then you will agree with me that the more versions are made, the better the app becomes. Is this not why you always try to download the latest version? Well, if you do not try to do this, I really do have to inform you that you are missing out on a lot of things, most especially the nice, new features which come with every new version. Who would want to miss out on that? Why would you want to miss out on that? Apple provides you the latest version of iTunes in its download page, but when you click Download button, it just guides you to somewhere. It's very odd. We can find you the link to download the latest version here. It’s compatible with Windows 7 and later. It offers both 32-bit and 64-bit. Click Get button below and it will start to download. However, there is a case that, you really need to install the old iTunes, for example, the version before 12.7 has the ringtone tab. But iTunes doesn’t provide the download links for any old version of iTunes on its official website. In this case, you can download any old version of iTunes here: Download Latest/Old iTunes. 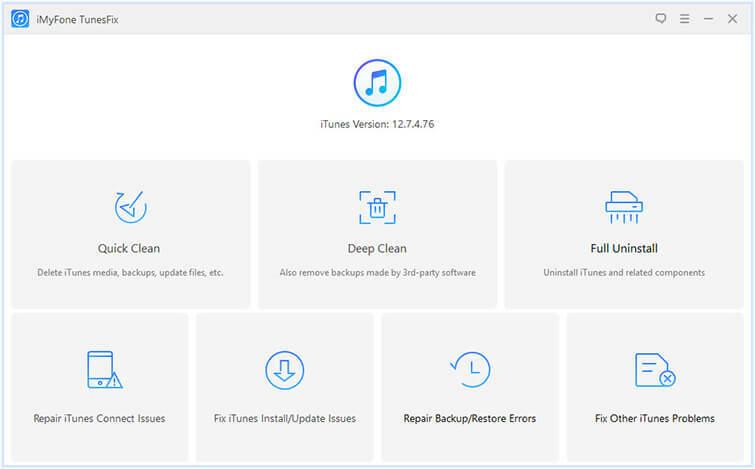 You may have a case that you failed to update or reinstall iTunes because some components left by the previous installation are damaged or corrupted. In this case, you need to remove any components or traces related to iTunes from your PC first. It’s not suggested to manually remove them, because it will cause unintended expects if you make it wrong. This always happens. 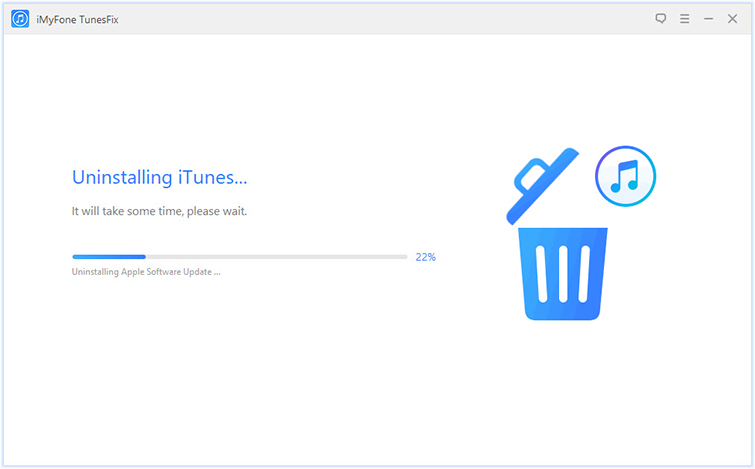 Therefore, here we introduce you another easy and safe way to uninstall iTunes completely. You can take advantage of iMyFone TunesFix iTunes Uninstall tool. 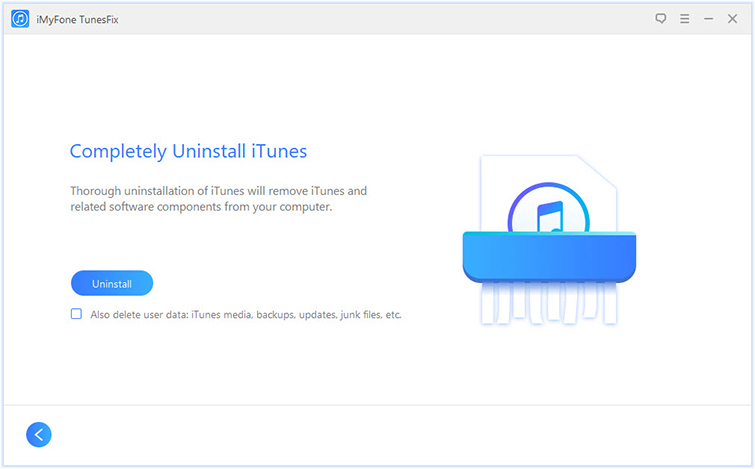 You just need one click to uninstall iTunes and related components, leaving no harmful traces. You can uninstall iTunes and well keep the iTunes library and data. Or you can uninstall iTunes and remove music, videos, backups, etc. at the same time. Step 1: Launch iMyFone TunesFix on your PC and it will detect your iTunes automatically. It will guide you to the home interface. Note: If it shows your iTunes is damaged, click Back icon. Step 2: Choose Full Uninstall there. In next page, click Uninstall and it will start removing the components. Note: Check “Also delete user data” before your click “Uninstall” if you want to get rid of data as well. “Full Uninstall” is just a small feature TunesFix. Except that, it has more great features that you would like. 1 click to repair 100+ iTunes errors: installation, update, restore, backup, stop working, and other issues. Its risk-free repair feature means you no data will be lost when repairing. Clear corrupted/damaged files from iTunes, which boosts not only iTunes but also PC performance. Preview and clean iTunes files selectively in bulk or all at once: old iOS backups, iTunes/iOS update files, copies of iOS apps, media, cookies, cache, logs, etc. Offer deep clean to scan and remove also the hidden backups left by third-party software or tools. 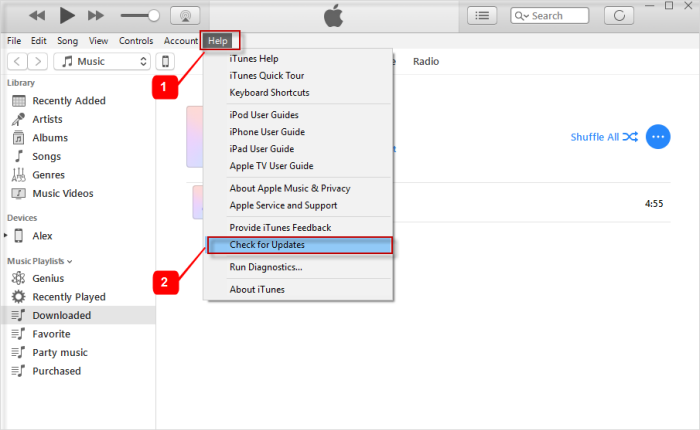 On Windows: Launch iTunes > click Help > tap Check for Updates > click Update to start. On Mac: Open iTunes > click on iTunes menu > tap Check for Updates > click Update to start. Your iTunes will restart after updating.